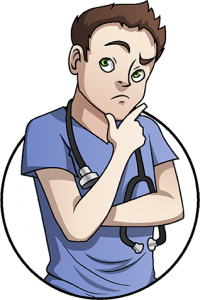 When you’re prepping to study for the USMLE Step 1, you probably find yourself grappling with a bunch of questions. How much do I actually need to study? How do I study without burning myself out? When do I need to start studying in order to get the best score possible? Of course, this is more difficult when you don’t even know how to begin studying. Let Picmonic be your BFF for the USMLE Step 1. Picmonic is a mnemonic study aid that can help you memorize everything you need to know to boost your USMLE Step 1 score, in a fast and fun way! With Picmonic, facts become pictures and studying becomes easier than ever. You can sign up for free today! So that answers one of your questions, but what about the rest? Read on to get the 411 on how to study for the USMLE Step 1. Have you already taken the NBME assessment exam? If you haven’t already taken this comprehensive, timed practice exam, take one at least two months before you start studying for the USMLE. Your NBME results will help guide what you need to do for your desired score. If you scored 200 or better, you have a good knowledge base and your study approach should primarily focus on review and practice questions. If you scored below that, you’re going to have to put in a significant amount of effort to relearn topics to achieve a more competitive Step 1 score. Be realistic about your baseline of knowledge as you setup your study schedule so you improve your odds of success! 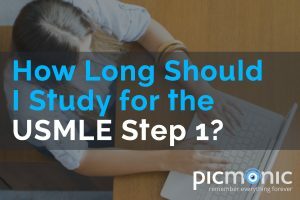 Most USMLE Step 1 test-takers suggest you should begin studying at least three months before the exam to get the best results, but six months is optimal. Remember that studying can be made easier with Picmonic Pathways featuring audio visual mnemonic videos and an Spaced Repetition algorithms that automatically adjust your daily study queue to maximize retention so that you absorb and remember what your studying. 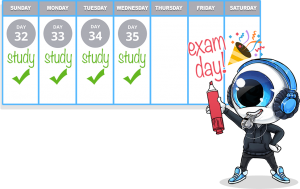 With Picmonic, you’ll be ready in time for test day! When you get your NBME results, identify your personal strengths and weaknesses and then determine how you study the most effectively. At Picmonic we believe that studying for the USMLE doesn’t have to feel like a chore. Using Picmonic to study can make learning entertaining while pushing your brain to retain up to 331 percent more than just studying with USMLE Step 1 flashcards. Picmonic even has tailored-to-you, on-the-go mobile study apps that cover the tough concepts, major categories, key facts, and topics that you need to know to be a great doctor. So write down the test score you want and get studying with Picmonic to make it happen! Check out what students are saying about Picmonic and Sign up today! Once you have an idea of what you need to work on to get the best score possible, set your USMLE Step 1 testing date and get cracking! Remember that you don’t have to go it alone. Picmonic is a great mnemonic study tool that will help you retain more in less time! In fact, it’s scientifically proven that Picmonic’s visual study guides help you retain more information by making learning efficient and effective. Plus, with Picmonic’s premium access, you can take your learning on-the-go with printable USMLE Step 1 flashcards and notes with Print & Go, or use our Picmonic mobile app to get your mnemonics fix from anywhere. See for yourself today! 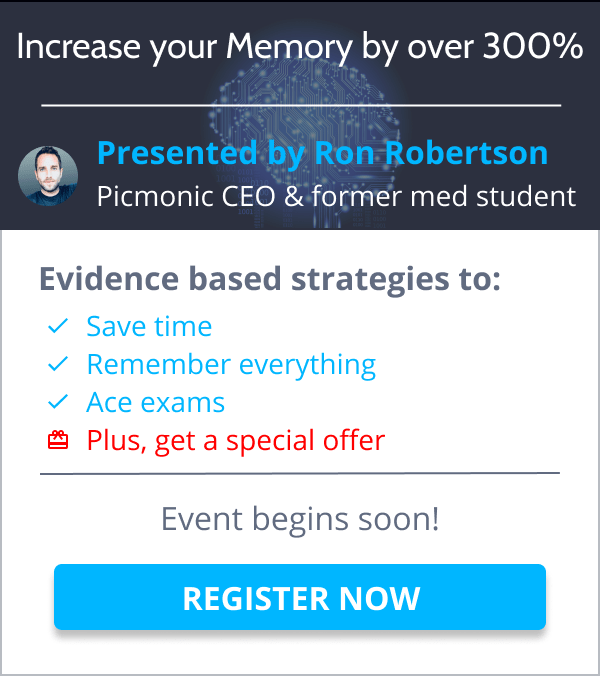 Check out this Mastering Medicine Q&A hosted by Ron Robertson (former med student and CEO of Picmonic) and Chris Tenore who scored a 268 on USMLE Step 1.